OrderPaperToday – The Independent National Electoral Commission (INEC) has finally resolved the lingering battle between the two factions of the All Progressives Congress (APC) in Zamfara state over fielding of candidates for elective positions in the forthcoming polls. The factions are led by the incumbent Governor, Abdul’Aziz Yari and Senator Kabir Marafa. Primaries tainted by violence resulted into several legal cases in the courts till both factions went behind INEC deadline for submission of candidates. The electoral body had earlier banned the state chapter from presenting candidates but the APC national headquarters insisted that there were consensus candidates. Two judgments were recently delivered in state and federal high courts which were contradictory. While the state high court ruled that primaries were conducted, the federal court went with the decision of INEC. In a statement released by National Commissioner on Information and Voter Education Committee, Festus Okoye after a meeting held on Wednesday, the electoral body agreed to stick with its previous decision. The statement reads: “The Commission would like to reaffirm its commitment to obeying all court judgments. Even when it disagrees with them. However, these are clearly two contradictory judgments delivered by two courts of coordinate jurisdiction on the same day. Also from the meeting, an approved final list of candidates for the governorship, state assembly and FCT Area Council was considered for elections scheduled to hold on 2nd March 2019. 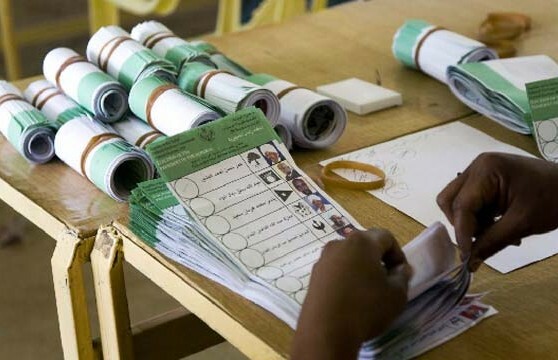 It was disclosed that a total of 1066 candidates were selected for governorship elections; 14,583 for the state assembly elections; and 806 for the Federal Capital Territory (FCT) Area Council elections broken down into 105 Chairmanship candidates and 701 Councillorship candidates. The Commission also noted that it reviewed various aspects of its preparedness for the 2019 general elections and expressed satisfaction with the overall preparations for the elections. “A meeting with all the Resident Electoral Commission will take place next week to further review the state of preparedness of each state”, it added.